In this blog post, you will get 4 Instagram highlight cover maker Android apps. Before that, let’s understand what highlights are on Instagram. When you post stories on Instagram, they disappear after 24 hours. But if you mark a specific story as highlights, it appears on the top of all the posted Instagram photos. And then, people can see that story until you remove it. The story highlights are the impression of your Instagram account. To make it look nice and clean, you can set the cover of your highlights according to the category. You can make separate sections for foods, travel, fashion, beauty, books, etc. Using these Android apps, you can make custom covers for Instagram highlights. The apps let you select a background, icons, text, and stickers. A few of these apps let you browse background image from your phone gallery as well. 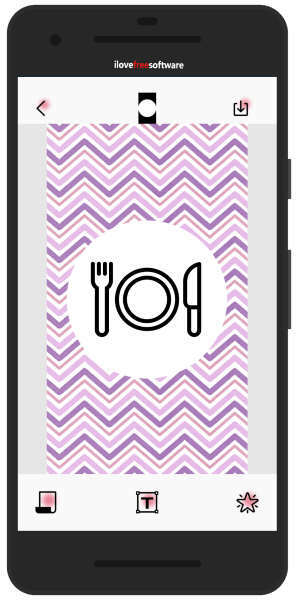 After creating designs, you can download it on your phone. Thereafter, you can set a cover image for your Instagram story highlights. So when people visit your Instagram profiles, they get impressed with the feeds and highlights. Also, you can download Instagram Story highlights of any user. Let’s go through each Instagram highlight cover maker. 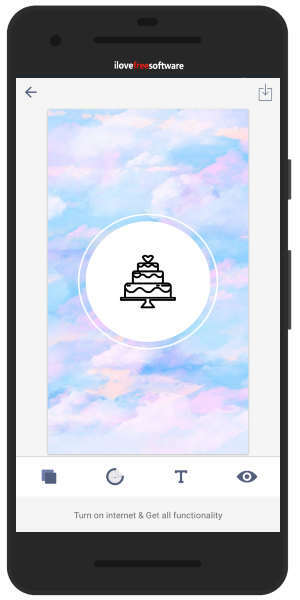 Highlight Cover Maker is a free Android app to create Instagram story icons. The app has templates and backgrounds. Also, you can create your own design by using different icons, backgrounds, and fonts. When you open the app, you will get a collection of templates. You can edit those templates to create your own Instagram story covers. A few of them are pro which you need to download. If you wish to make a design of your own choice then you can click on the plus sign below. Then, you can use tools like background, text, and icons. You can keep the background simple with different colors. Also, you can make your Instagram highlight cover look like marble, watercolor, and metal. The app lets you add an image from your phone gallery as a background image. After adding the background, you can type text or add stickers, icons, etc. The app has different fonts. You can change the color of text, set the font size, etc. Once you create the design, you can save it on your phone. In case you go back directly without saving the highlight cover, then the app automatically saves your design within the app. You can edit the design later, save it and post it as your Instagram highlight cover. An Android app named Highlight Cover Creators can be a good option to make Instagram highlight covers. After opening the app, you will get highlight templates in variety. The app has more than 35 templates which you can edit as per your choice. To edit the template, you can tap on any design that you find interesting. There are tools to make highlight covers such as backgrounds, stickers, and text. You can edit the template by replacing the icon and set the sticker of your choice. The Instagram highlight cover maker lets you drag and move the icon here and there. Once you are done with the design, you can preview the highlight cover. After that, you can tap the download icon located on the top right. In this way, you can make unlimited Instagram story highlight covers. StoryArt is one of the good Instagram highlight cover maker Android apps. Using this app, you can create highlight covers and stories as well. When you open the app, you will see two categories on the top titled Templates and My story. The app has interesting templates. You can tap on any template in order to edit it. Also, you can mark these templates as favorites. You can search templates according to the category like Minimal, Holiday, Retro, Glitch, etc. In order to create highlight covers, you can tap on Highlight. There you will find enough templates for highlight covers. You can either save the icon as it is. Also, you can mark that design as favorites. To edit the template, you can tap on the plus sign. Thereafter, you will get tools like background, text, color, etc. 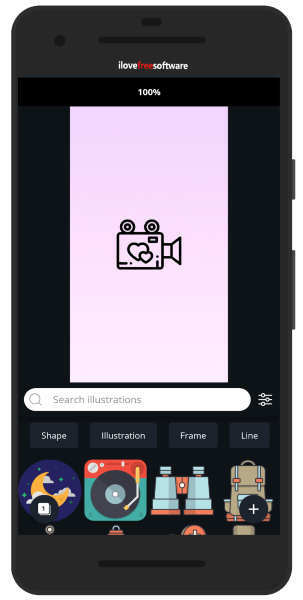 With the help of tools, you can browse the background image from your phone. Other tools like adding the text where you can use different text style, size, text color, etc. When you are ready with the design, go back and tap the download icon located in bottom right corner. Canva is one of the famous apps to create designs and graphics. This is the best app to make a logo, posters, stories for different social media platforms. To create the Instagram highlight cover, you can tap on the plus sign located on the bottom right. Once you tap, the app shows different social media categories. You can tap on the Instagram story. Now you have a plain template where you can add icons for Instagram highlights. For that, you have to tap on another plus sign to display tools. There are tools like text, image, illustrations, and other templates. Once your design is ready, you can save it by tapping on the download icon on the top right. Instagram highlights covers can make your Instagram account look creative. Using the above-mentioned Android apps, you can make custom designs by using tools like text, fonts, stickers, etc. So try these apps and make your Instagram account look attractive.